Navel orangeworm spotted in almond mummies in Hickman, California. According to the National Agricultural Statistics Service (NASS), California’s 2018 almond production is forecasted at 2.45 billion meat pounds, which is up 7.9% from the 2017 season. These record-breaking forecasts are a relief for many growers, whose crop was hit hard by 2017 navel orangeworm (NOW) pressure. 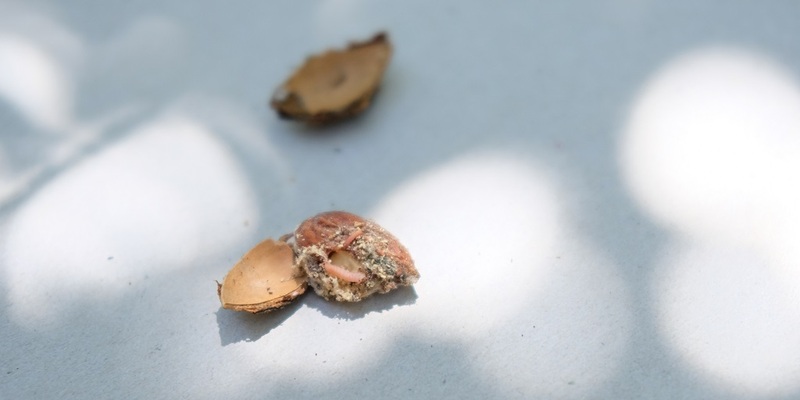 As California almonds enter hullsplit, the nutmeat is at its most vulnerable – and potentially most costly – stage to hungry navel orangeworm. Growers need to continue monitoring for NOW pressure and applying an insecticide to protect against late-season damage that can largely affect almond marketability. Agronomist Garrett Gilcrease shares insights on this year’s NOW pressure, tips for hullsplit and spray timing recommendations with KMJ radio’s Don York. Learn more about NOW identification, damage and management tips during critical hullsplit timing.